FC Barcelona took a 3-0 win in the Joan Gamper Trophy Game on Wednesday evening, as fans at the Camp Nou got to see their idols in action for the first time this summer. 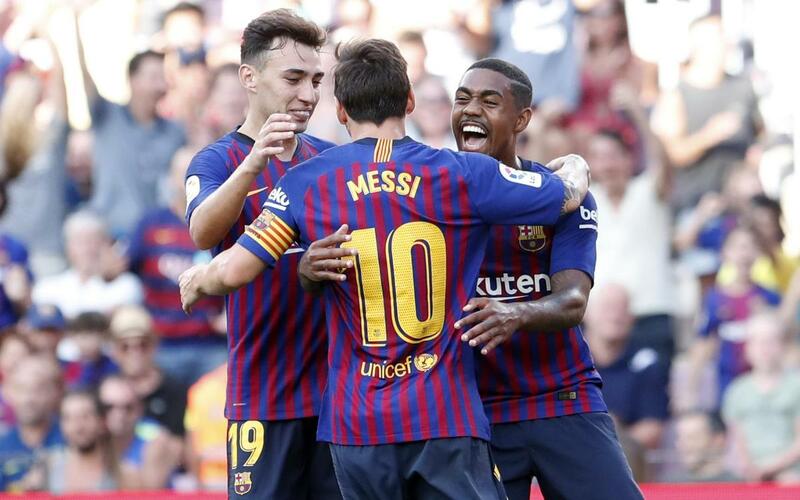 Goals from Malcom, Messi and Rafinha decided the club's presentation game against Boca Juniors. Coach Ernesto Valverde gave starts to two of the club's new signings, fielding Arturo Vidal and Malcom in his initial XI. Barça made an energetic start, involving quick passing and bringing the ball upfield speedily for the forwards. It was up to Malcom to break the deadlock on 18 minutes, squaring up to a defender, stepping outside and finishing off with a left footed drive under goalkeeper Andrada. Boca Juniors' response consisted of a series of corners on the half hour mark; one was saved by Marc-André Ter Stegen after a bounce took the sting out of the resulting header, the other nodded wide. Philippe Coutinho curled a shot high and wide 10 minutes before the break, but it was Leo Messi who would double Barça's advantage. Bursting through the middle, he had his attempted one-two rebound off a defender, and finished over the goalkeeper with a delightful dink. Munir could have made it 3-0 just moments later, when he robbed the ball off a poor delivery out. Andrada blocked his shot, and also kept out Malcom's follow-up drive from outside the box. The first half ended with a low effort wide from Boca's Ramon Ábila, plus a double chance for the visitors that was their best of the first half: Sebastián Villa hit the post with his shot from the right channel and, with Ter Stegen stranded, it was up to the Barça defence to clear Nahitan Nández' attempt off the line. Wholesale changes were made at halftime, and only Malcom, Munir and Miranda remained from the starting eleven. That meant debuts at the Camp Nou for the other two signings made this summer: Arthur and Lenglet. Munir dragged a shot wide just after the restart. Ernesto Valverde brought on Busquets, Dembélé and Luis Suárez with 25 minutes remaining, and seconds later Barça had the ball in the net once more. Suárez made an instant impact as he combined with Rafinha, setting up his teammate with a deft one-two that was poked home. Suárez almost put a goal of his own on the board shortly after, when he broke past several defenders, had the ball ricochet back to him and swiped a shot over the crossbar. Looking for goal number four, Tomas Vermaelen had a header saved at full stretch in the final moments and Riqui Puig clipped the ball wide with his left foot. Despite their attempts at adding to the goal tally, the score remained 3-0 at the final whistle, giving Barça the win in the Joan Gamper Trophy Game and setting them up well for their LaLiga opener against Alavés this Saturday night (10:15pm CEST).